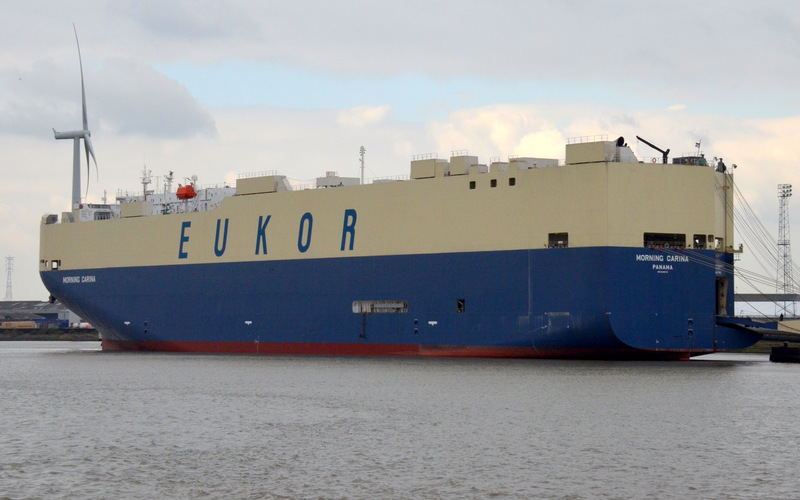 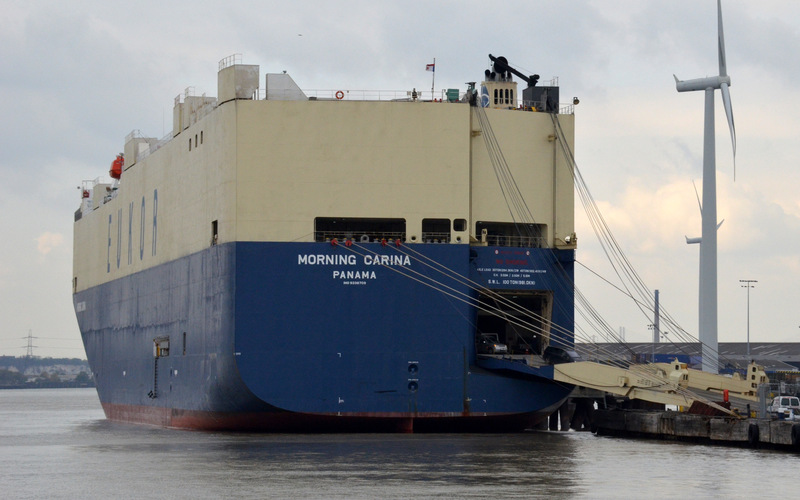 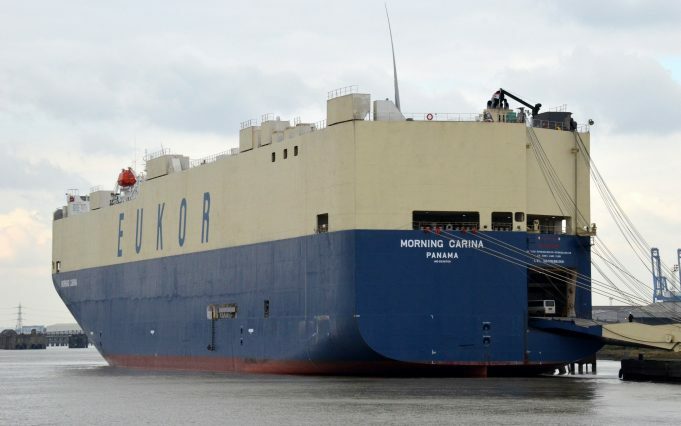 The car transporter MORNING CARINA on Tilbury RO RO jetty on 13/10/2015. She was built in 2007 at 60,876 grt. 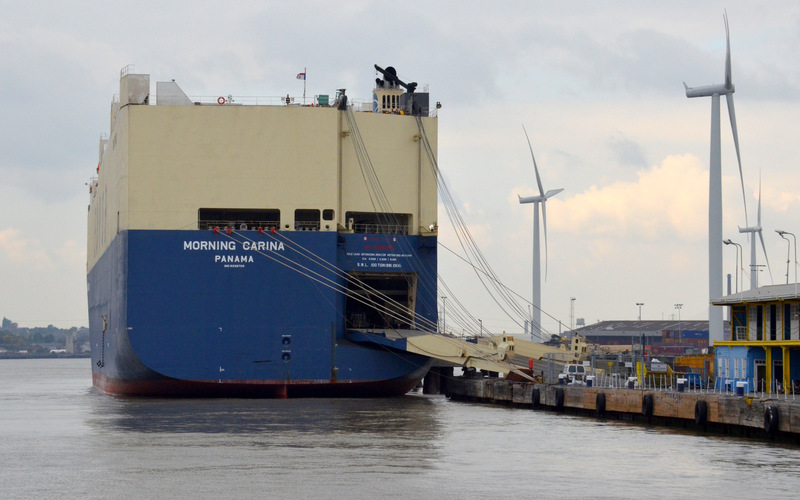 Sailing under the Panama flag.